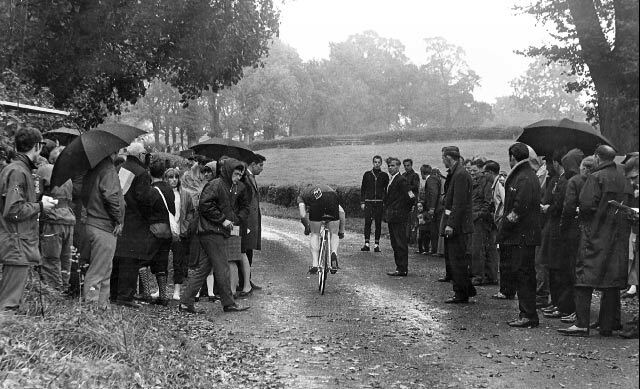 York’s hill is the venue of the one of the world’s oldest cycle races – Catford CC hill climb in Kent, S.E. England. The full climb is 0.8 miles, climbing 353ft / 108m . But, it is the last half a miles of the climb which is the really interesting part. It is one of the steepest climbs in the south of England. The climb starts off innocuously enough, but as you near the top, the road gets steeper, until you hit the really tough 20-25% section at the end. 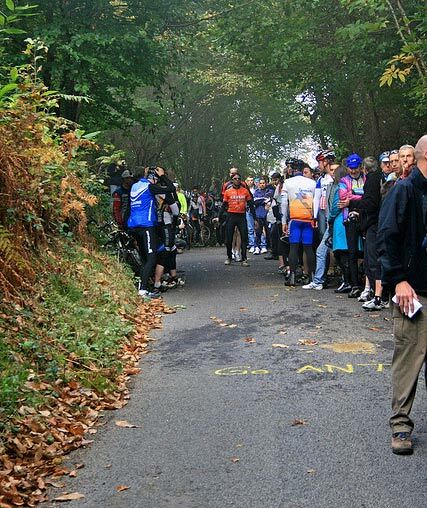 York’s hill makes a great event for the Catford CC hill climb. The steep section is usually thronged with spectators who take great delight in watching the suffering of the competitors. 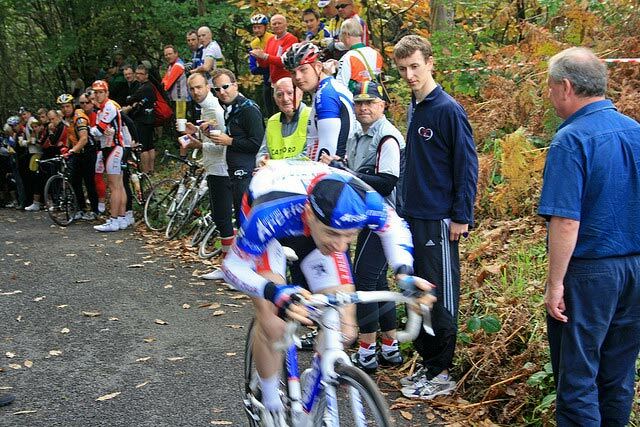 I rode the Catford CC event back in 2005. I recorded a time of 2.04 – I think this was 12th. 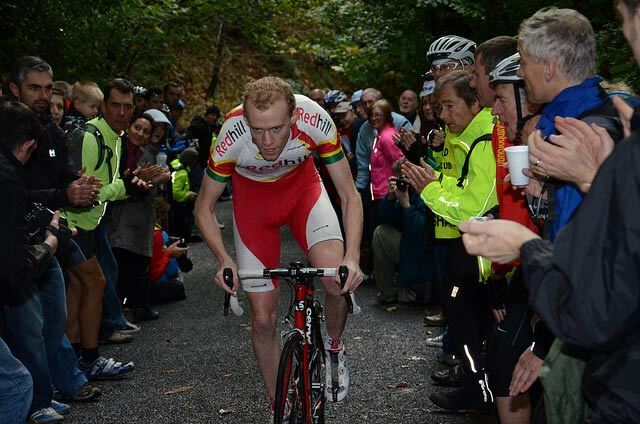 I don’t remember much about the event, except it is quite intense with a really steep finish. The general idea is to go really fast from the start and try and hang on. The steepness of the road makes wheel-slip a real problem. When it is wet, many riders will let air out of their rear tyre (to perhaps 60-70psi) to improve traction. It suits an explosive type of rider – a mixture of track speed or road sprinter – ideally with Hill climbers physique. (short and explosive). I would like to go back because I think I could do a bit better. 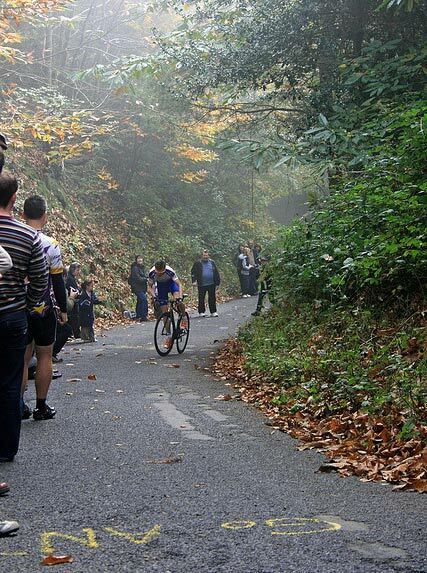 It’s a shame that weekend in October is often crowded with other hill climb events. The lowest permitted gear was 52 inches. I watched it last October on a chilly Sunday morning, a fantastic turnout.In the afternoon it was onto nearby White lane for the Bec CC hill climb. Stunning ride to win in 1.56 in 1961. My son, Ewan was second in 2018, in 1.57 ! so would still have been second. Old skool rules !